PureLiFi is a pioneer in the field of LiFi technology and aims to bring connectivity through light signals. The company has taken the technology from just a concept and has demonstrated it working in the real world . 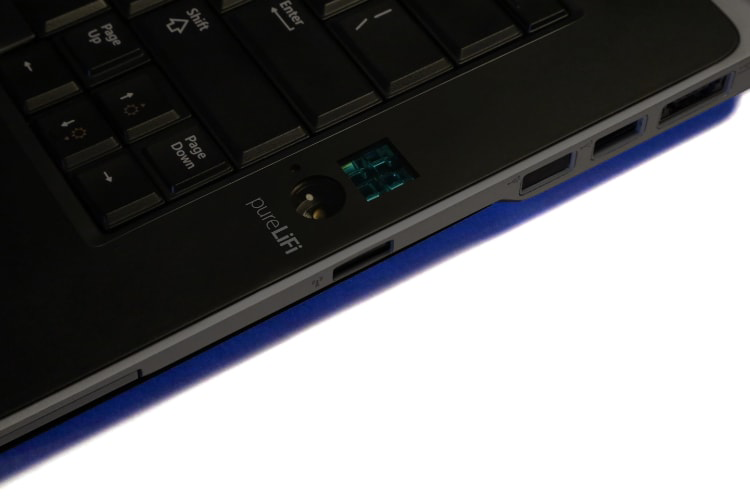 In fact, the company took to stage at the Mobile World Congress to showcase its first LiFi-enabled laptop and phone case. According to a press statement, the significant progress in the LiFi technology means that LiFi is now small enough to be integrated into laptops, tablets, and smart appliances. 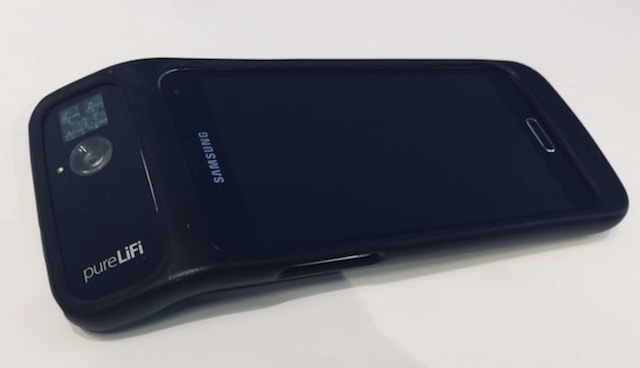 To demonstrate this advancement, the company integrated their LiFi-XC system into a normal commercial Dell laptop and manufactured a LiFi phone sleeve to operate with a Samsung smartphone. The company also performed the world’s first Skype call on a LiFi-enabled mobile phone at MWC. While we were not there to get our hands on the demo units, the folks at DigitalTrends checked them out and reported that they were able to use both the modified Dell laptop and the Samsung phone (Galaxy S5 to be specific) with LiFi enabled case, to successfully stream videos hosted on their website. They further report that the LiFi technology was able to deliver 42 Mbps speeds for both upload and download functions. That said, it might still be a few years before we see a LiFi enabled device being sold to consumers as further miniaturization is required before the LiFi receivers can be successfully put into smartphones and laptops without taking too much space.